The campaign, "Swachh Bharat Mission", is India's largest ever cleanliness drive, was officially launched by Prime Minister Narendra Modi with objectives to reduce or eliminate open defecation through construction of individual, cluster and community toilets. The Swachh Bharat mission also made an initiative of establishing an accountable mechanism of monitoring latrine use. New Delhi: Under the Swachh Bharat Mission (Urban) being implemented by the Ministry of Urban Development, people residing in slum and unauthorised colonies in urban areas are being provided benefits by the Government for construction of individual household toilets (IHHL). 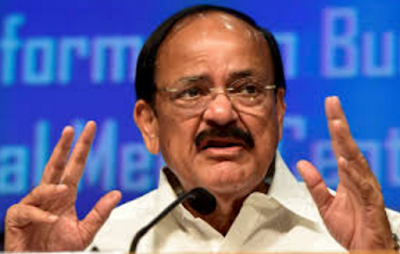 Government of India provides Rs 4000 per unit of IHHL to the beneficiaries, said The Minister of Urban Development Shri M. Venkaiah Naidu in statement in Lok Sabha on 12.04.2017 while replying to starred question no. 558 asked by Pakaj Chowdhary. The details of IHHLs and CT/PTs constructed across states is given in Annexure 1 in PDF. The state-wise details of funds allocated and released for construction of toilets is given in Annexure 2.in PDF.